I am guilty, you probably are too - selfie runners are everywhere. 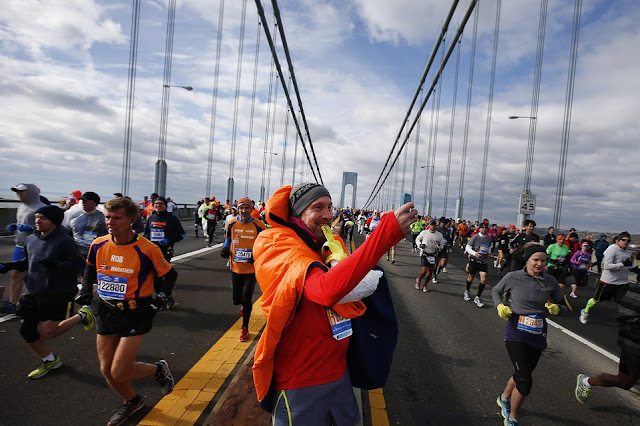 My 2014 ASICS New York City Marathon Blogger Challenge teammate Chris ended up on the front page of various media outlets after a selfie he took during last years NYC Marathon. This "selfie" was named one of CNN's Selfies of the Year, The Wall Street Journal, Daily Mail, and many other places. Funny thing about this "running selfie" is that it really wasn't a selfie, he was taking a photo of runners on the bridge. Love them or hate them, selfies are here to stay as long as we have social media. One of my favorite Selfies was also from the NYC Marathon, on top of the Brooklyn Bridge with the skyline behind me. It's a must take photo if you are a picture taker during Marathons. WIN $170 OF ASICS GEAR!! 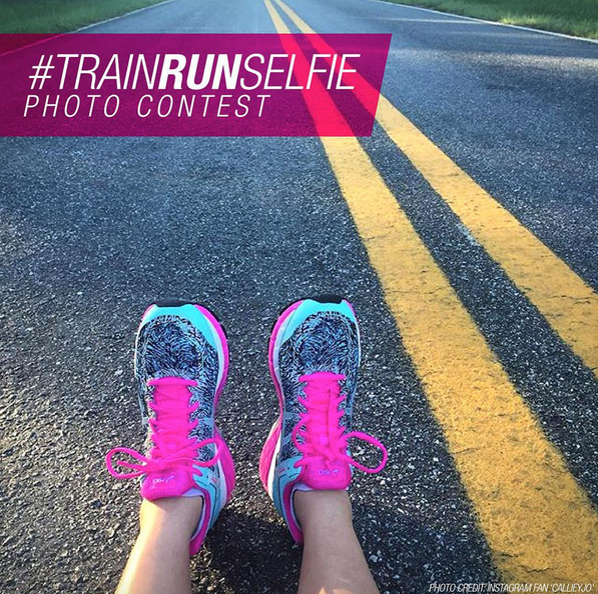 ASICS wants you to snap a #selfie on your run & post on Instagram & Twitter using the hashtag #TrainRunSelfie for the chance to WIN $170 in ASICS gear! They choosing one winner a week from now through November 2nd a coupon code worth $170 at www.asicsamerica.com. So start taking those selfies, be sure to use the hashtag #TrainRunSelfie and maybe your selfie will become as famous as Chris's.